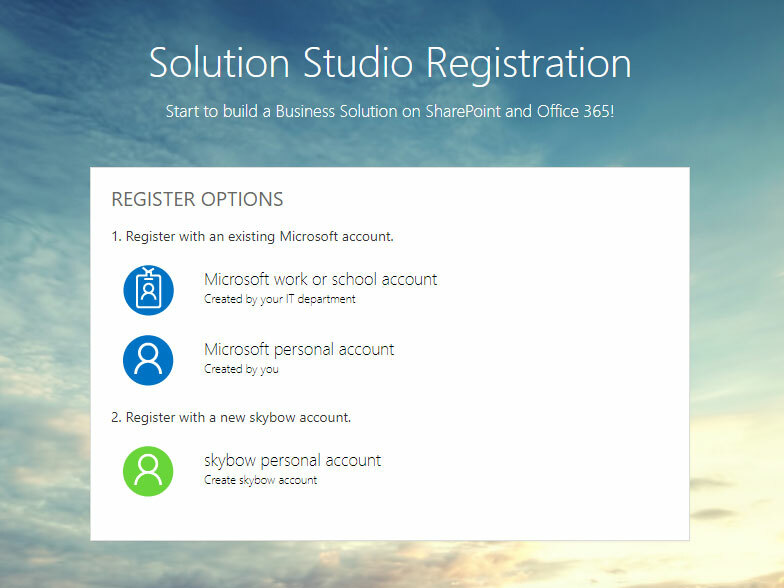 skybow Solution Studio - How to Start? 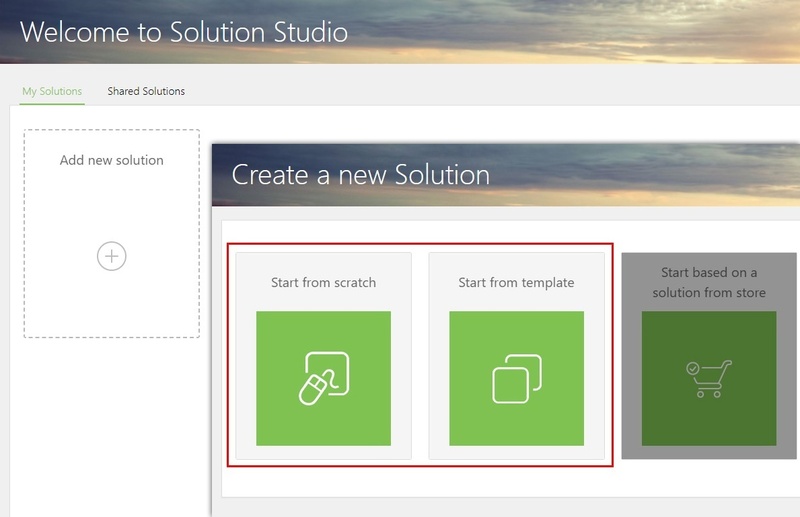 How to start with Solution Studio? NO installation, NO license key, just an account is needed to start. Follow the steps or contact us directly. We are here to help. 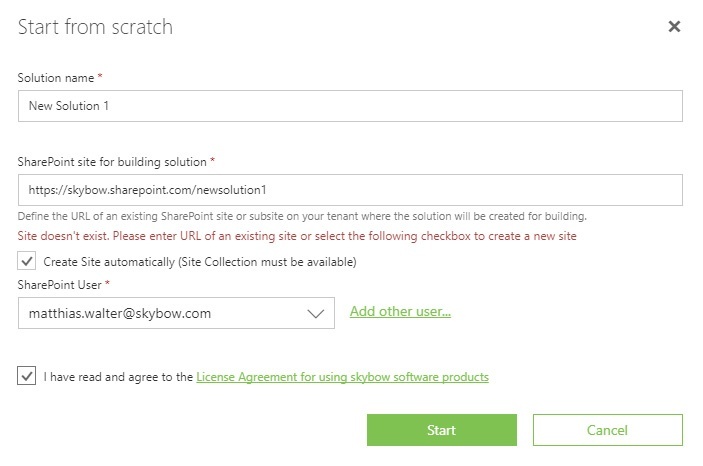 Hint: The very first time on a tenant you need to approve / trust skybow to run on this tenant using the permissions of a tenant admin with your SharePoint solutions. 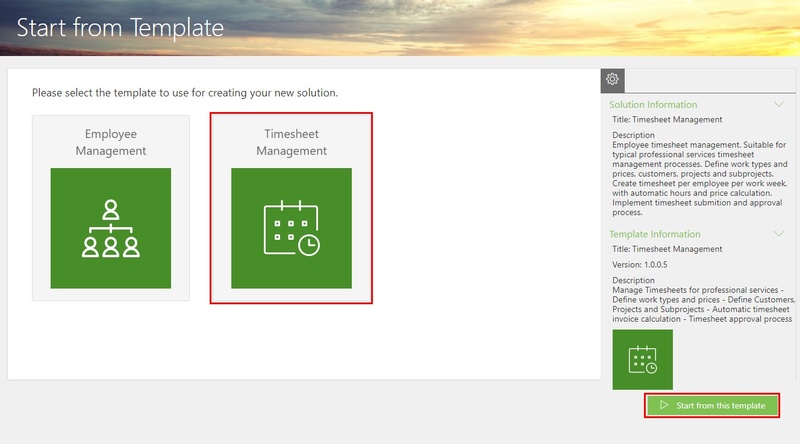 You can choose from one of our templates, which already have preconfigured configuration. Hint: The very first time on a tenant you need to approve / trust skybow to run on this tenant using the permissions of a tenant admin. 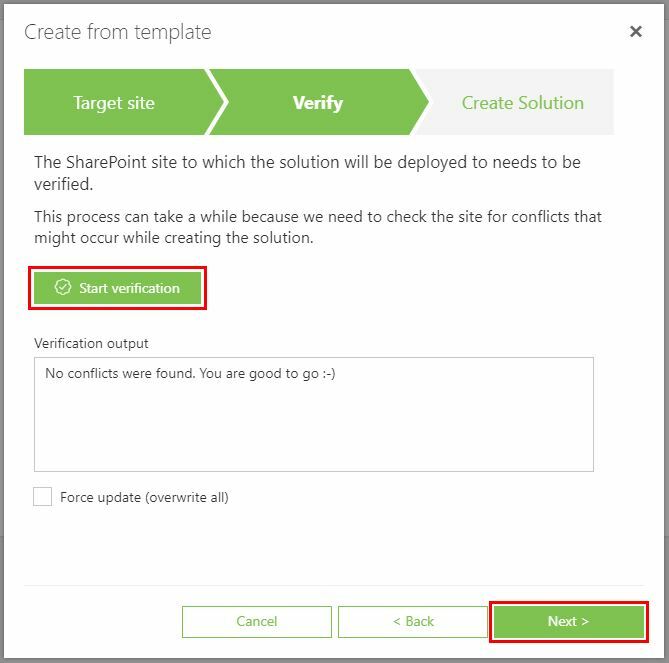 Press "Start verification" to check whether this template can be published to the target site. If there are conflicts, you can solve them manually or just overwrite all with the "Force update" option. 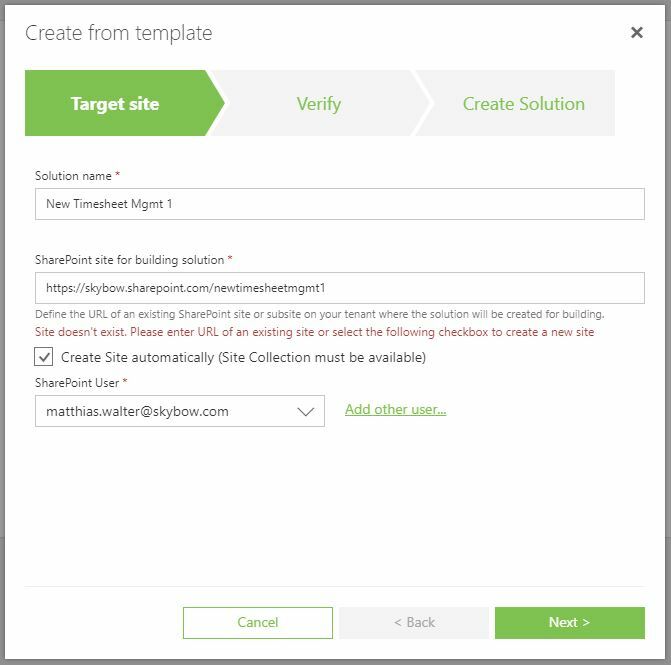 Creating the solution from template will take 2-4 minutes. Now you are ready to go! 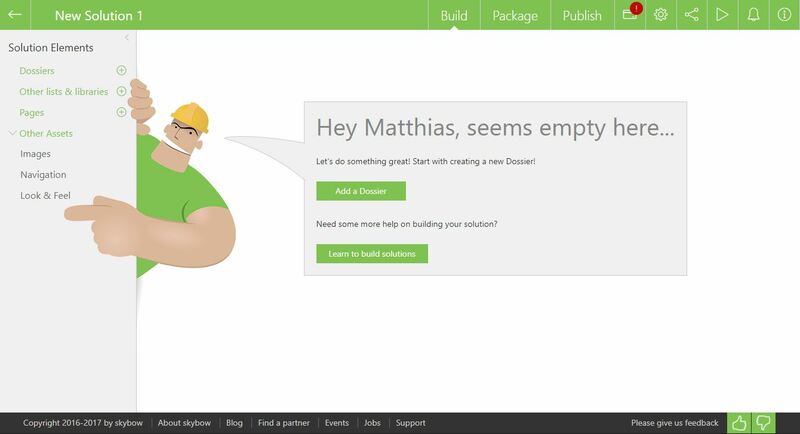 You can start to build your solution, create a package, and publish it to another site. The solution elements in the left navigation are either empty, or pre-filled from the template.